Professor Joseph M. Pirotta was born in Sliema, Malta, in June 1941. He retired from the University of Malta, where he was Head of the Department of International Relations in the Faculty of Arts, at the end of September 2008, after a teaching career that spanned fifty years – the last twenty-nine at the University of Malta. 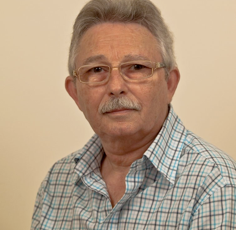 Joseph Pirotta has published various books, papers and articles dealing with aspects of modern and contemporary Maltese political and constitutional development. (see Publications page) He has also contributed to history programmes both for television and radio. He was Chairman of the Malta Broadcasting Authority from 1993 to 2002 when pluralism in television was introduced and consolidated. Under his leadership the Broadcasting Authority expanded its international contacts. In 1995 he became a founding father of the European Platform of Regulatory Authorities (EPRA) of which he is a life honorary member. He also served as Chairman of the Mediterranean Network of Regulatory Authorities. In May 2008 Pirotta was appointed Chairman of the Editorial Board of the Public Broadcasting Services. Pirotta’s main interests are history (especially modern and contemporary political history), photography, art, sport, the cinema and the theatre. Pirotta is married to Maria, neè Abela, and has two sons Edward and Jonathan, as well as two grandsons, Luca and Karl.